Rookie, Hawkins Signs 4 Year Deal With Steelers | "IT'S A STEELERS WORLD"! 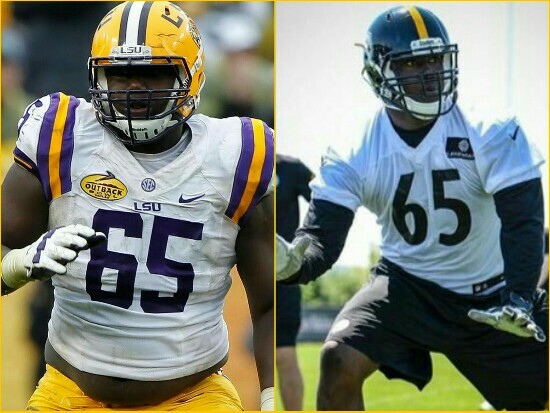 The Pittsburgh Steelers “vamped” up their offensive line signing rookie 4th round pick, Jerald Hawkins to a 4 year deal. With experience at both left tackle, and right tackle, Hawkins is expected to see most of his work early on with the Steelers at left tackle. “He can come in here and help right away by competing and pushing the guys and making them better,” offensive line coach Mike Munchak said. “It just makes the group better when you can bring in a good athlete and a good player that has the ability to compete and help us become better”. No one wants competition..but competition makes players of all levels better. And the Steelers offensive line gets better..the rest of the NFL will have “Big Ben” problems. Hawkins working with Munchak, a Hall of Famer, is looking forward to even more of it.